The end of January brought cooler temps and with it came a bevy of folks wanting to unleash their inner artists at Pyramid Pensacola's Paint It Please paint Party! 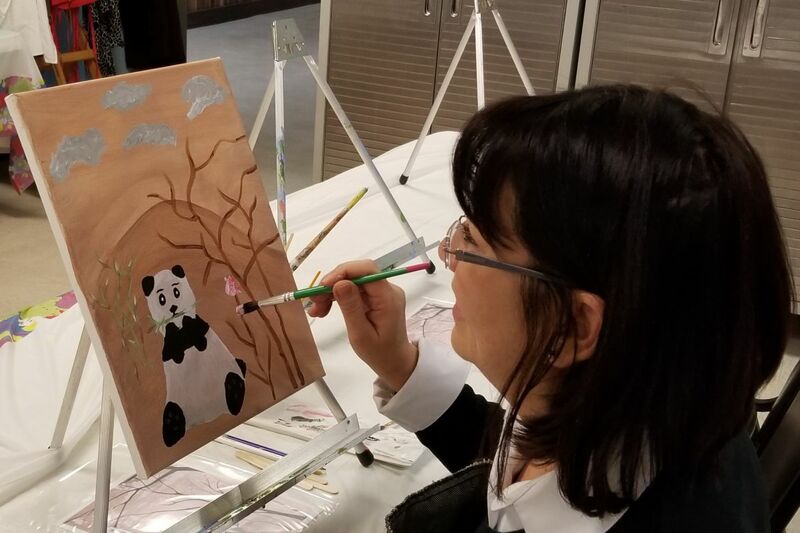 Attending guests had the opportunity learn to paint a beautiful painting of panda happily munching grass under the instruction of Pyramid visual arts coordinator Diana Amato and enjoy some friendly fellowship and light refreshments. Everyone had a wonderful time and found that their inner artists were pretty awesome!